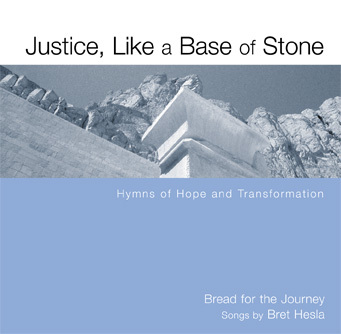 In this 2006 songbook (and recording by the group Bread for the Journey) features original songs of Bret Hesla. Key themes: justice for all people, building inclusive community, peacemaking & healing. Many of the arrangements emphasize SATB singing. The companion songbook includes keyboard accompaniment, background notes and tips for using with a group. (published and distributed by Augsburg Fortress) . Copyright 2006, Augsburg Fortress, Minneapolis.